PHN Inspirational Sundays Featuring Kelly Clarkson, Pharrell, Bon Jovi, Destiny’s Child, Michael Jackson, and More! ~ Phresh Hott New! 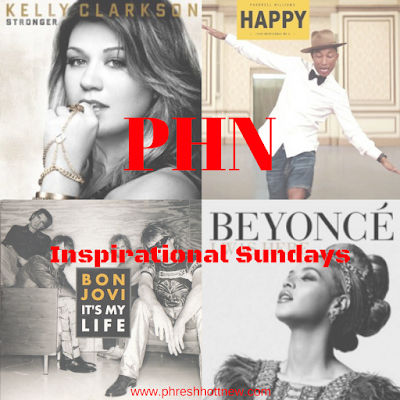 PHN Inspirational Sundays Featuring Kelly Clarkson, Pharrell, Bon Jovi, Destiny’s Child, Michael Jackson, and More! Phresh Hott New Inspirational Sundays are back. This time better than ever. We have taken the Inspirational Sundays in put it in playlist form on Spotify. This way you can take the inspiration with you and always be inspired. This weeks playlist features Kelly Clarkson, Marvin Sapp, Bon Jovi, Destiny’s Child, Michael Jackson, and More. Check it out below.